Here, our coin experts are debunking popular coin myths, sharing little-known facts about counterfeit coins, gold coins & silver coins, and revealing other important coin facts that anyone who's interested in coins should know! Whether you're concerned about buying fake coins or just need to brush up on your facts about U.S. coins... start here! 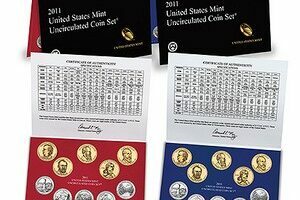 There are 28 uncirculated coins in the 2011 United States Mint coin set. Some little-known facts about the no-cents Liberty V nickel. This 1883 nickel has quite a story to tell! See why it’s often called the Racketeer nickel, and one possible explanation for how the phrase ‘joshing you’ came to be! The First Spouse gold coins series enters it 5th year in 2011. Let’s find out more about each of the First Spouse coin designs and how you can collect each of the designs for a fraction of the cost of buying the gold coins. 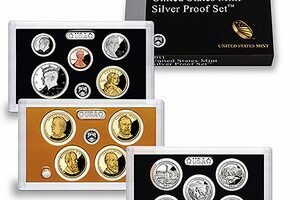 There’s plenty of variety for coin collectors with 2011 United States proof sets. The 2011 ‘gold’ dollar coin honors a famous peace treaty made between Native Americans and early European settlers. The small cent penny was first minted in 1856 and includes a number of designs and rare dates that’ll make any coin collector eager to collect this dynamic denomination. The first small cent US penny was the Flying Eagle cent (1856-1858), then came the Indian Head cent (1859-1909), and finally the Lincoln cent (1909-present). 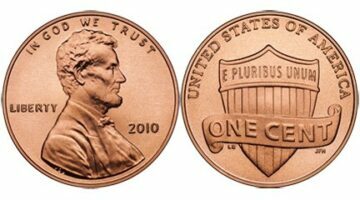 Yes, our current U.S. penny is a small cent coin. They’re called small cents because Large Cent pennies with a larger diameter came before them (1793-1857). Here are 5 reasons you may want to jump on the silver half dollar bandwagon. Check out these 5 hidden secrets on coins and paper money. 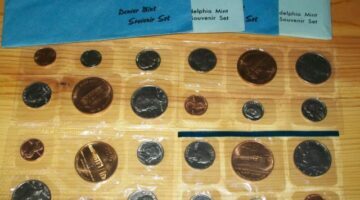 Buying a souvenir set from the Philadelphia and Denver mints in 1982 and 1983 was the only way to obtain official coin sets from those years. 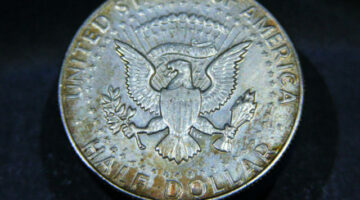 The United States silver dollar can trace some of its roots to the thaler. Fiat money is money not based on a physical commodity. Dog Safety Warning: Common Pennies Can Harm Your Dog! Maintain your dog’s safety by keeping zinc pennies (those made in late 1982 and after) away from your furry friend. 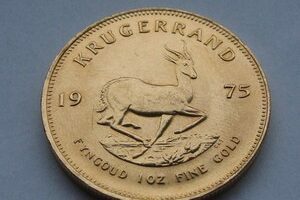 Make sure you know how to avoid buying gold-plated coins. If you’re looking for a 1965 mint set, you’ll need to turn to the 1965 special mint set — the only official coin set made by the U.S. Mint that year. 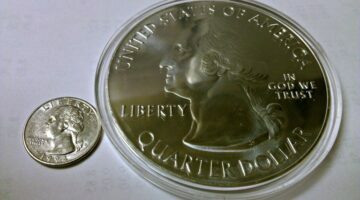 The 1964 proof set is the first to contain the Kennedy half dollar and the last until the 1990s to have 90% silver versions of the dime, quarter, and half dollar. The 1936 proof set was the first modern United States proof set. We are amid the 30th anniversary of a boom time in coin history — the rise and fall of the coin market of 1979 to 1981. Check out 5 of the biggest coin mistakes — coins that failed to catch on with the public — that the United States has made. 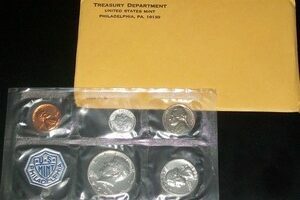 The 1955 proof set is the first United States proof set to come in a flat cellophane package. The 1950 proof set was the first proof set made by the U.S. Mint since 1942. Featuring silver coins and the now-obsolete Lincoln wheat cent, the 1950 proof set is a popular coin set among coin collectors. Have you ever wondered what famous coin collectors you share your hobby with? Check out this list of 10 luminaries that have enjoyed coin collecting as one of their pastimes. 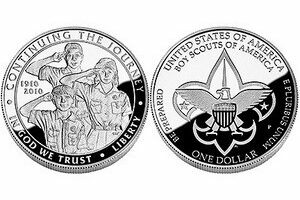 The Boy Scouts commemorative dollar is very popular. So popular, in fact, that the U.S. Mint has already sold all of the uncirculated versions of the coin! The new penny in 2010 features a Union shield. Instead of having to look for these new coins in pocket change, you can now order rolls directly from the United States Mint.